It’s February, and that means it’s American Heart Month. Due to its severity, the Centers for Disease Control and Prevention (CDC) set this year’s focus on blood cholesterol. According to the numbers from the American Heart Association, as cited by the CDC, almost 1 out of every 3 American adults have high blood cholesterol. This is terribly worrying as it is considered a high risk factor for both stroke and heart disease, yet, it can go unnoticed without any sings or symptoms. Cholesterol is a fatty substance that travels around the body through the blood via Lipoproteins. While the body creates most cholesterol naturally, there are certain foods that contain it as well. Dairy products, meat, and other animal foods, for example, give us cholesterol. The good type of cholesterol is called High Density Lipoprotein (HDL). It’s high density means that is has a low amount of fats. HDL stops the cholesterol from clogging up the arteries. The other type of cholesterol, the one that people are much more afraid of, is called Low Density Lipoprotein (LDL). It’s low density means it has a higher amount of fat. LDL is dangerous because it can lead to cholesterol build-up in the arteries and clog them. This can lead to artery hardening, which can lead to chest pain and even heart attack. 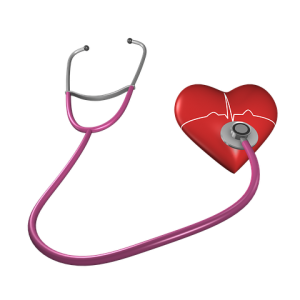 To find out more about cholesterol and staying on top of your heart health, make sure to check out some of the CDC’s resources. What do you do to protect your heart? How do you keep your cholesterol levels safe?